We were happy to be selected for a fourth consecutive year by Peter Som as a supplier for his New York Fashion Week runway show. We love #designers: It’s always fun to work with creative minds and see what we can produce together. 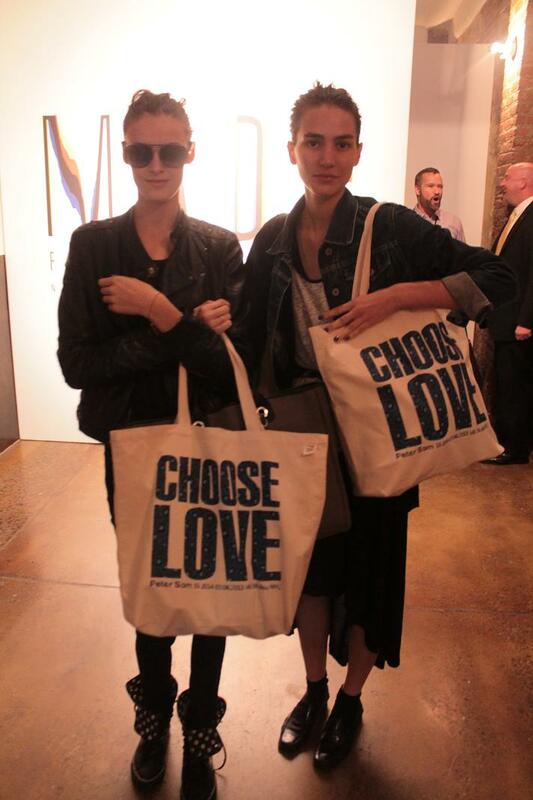 The bags read “Choose Love” – How do you interpret this message? Missed Fashion Week and didn’t get to see the show? Take a peak at our picks from Friday below and see the rest of the gallery on Pinterest here! For the Natural Canvas Tote bag (CAN-501), check here! The @PeterSom design our tote’s print is based off of.